FBI Arrest Pharma CEO Martin Shkreli In New York City. 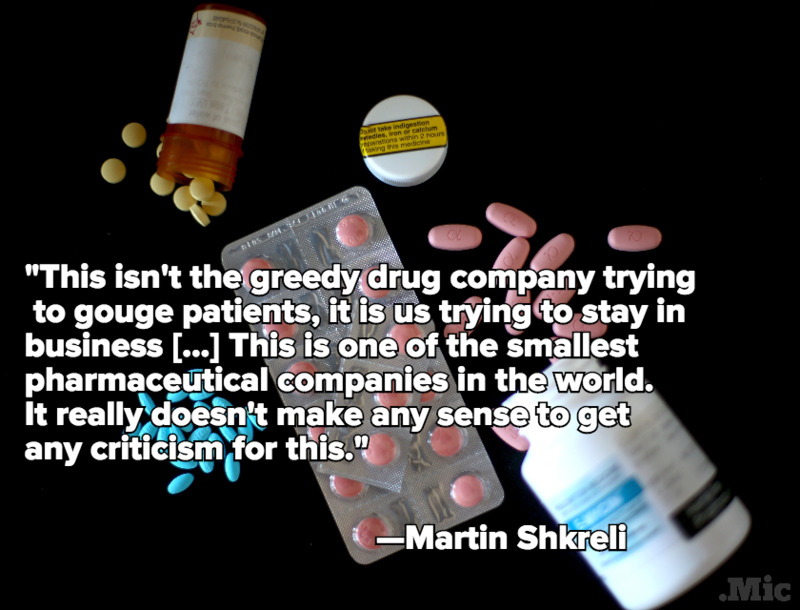 Earlier this year, a couple of Blog readers asked me for my opinion of Martin Shkreli (b. 1983). I replied that it was a safe bet that Mr. Shkreli would very soon end up in prison. I went on to state that Mr. Shkreli (who is in his early 30s) is a tragicomic figure who looks, and behaves, like an absurd, swaggering adolescent who has learned how to fool adults by reciting impressive-sounding, technical jargon. 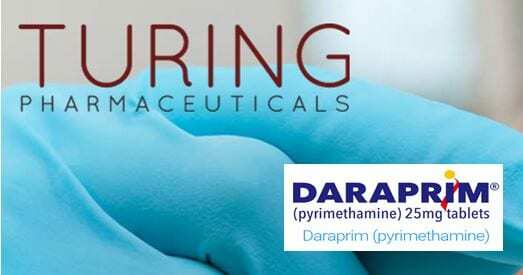 Simply by co-opting the name, 'Turing Pharmaceuticals,' for his latest company, Mr. Shkreli has attempted to identify with Alan Turing. In reality, for several years, he has been exhibiting the diagnostic criteria of severe and inflexible Narcissistic Personality Disorder,* but lately, Mr. Shkreli's ego-inflating, comic-book fantasies have become increasingly grandiose and dangerous. 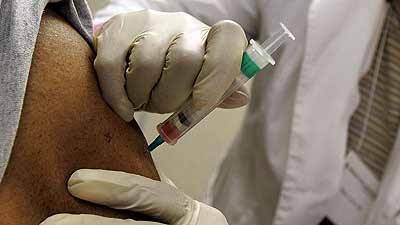 Typically, Mr. Shkreli has also been posing as a victim. In plain language, Mr. Shkreli is yet another mediocre (previously-penniless) little charlatan who has managed to get his hands on large sums of other people's capital by hovering around Wall St. and steadfastly pretending that he's an important, philanthropic, scientific and business, genius, who knows how to make piles of money lawfully. 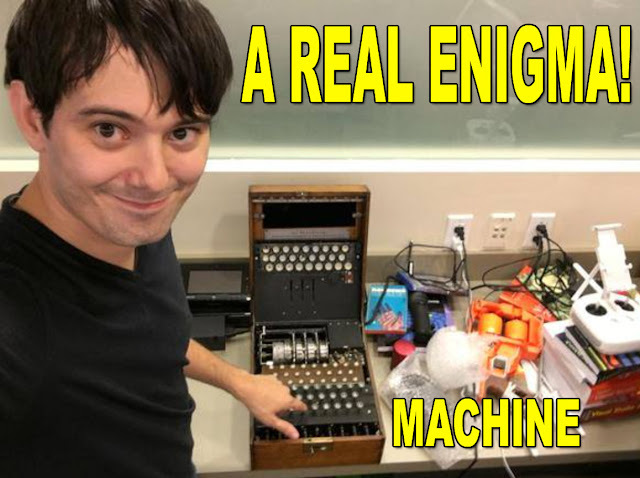 Mr Shkreli has finally been arrested for running a Ponzi scheme and manipulating the market, revealing that the only possible connection he has with Alan Turing is that (when asked the right common-sense questions) he fails the Turing Test. Today, Dr. Alan Mathison Turing is universally recognised as a giant, but tragic, figure in history. I935, Alan Turing (aged just 22) was elected as a fellow of Kings College. Alan Turing is the individual who, in 1936, set out and formalised the concepts which produced the Universal Turing machine - the first theoretical model for a general purpose computer. As a result, Dr.Turing is considered to be the father of computer science and artificial intelligence. The central principle of today's computers (i.e. controlling the machine's operations by a program of coded instructions stored in a memory) was Alan Turing's original idea. It is now a matter of historical record that, but for Dr.Turing, WWII would almost-certainly have dragged on at least until 1947. 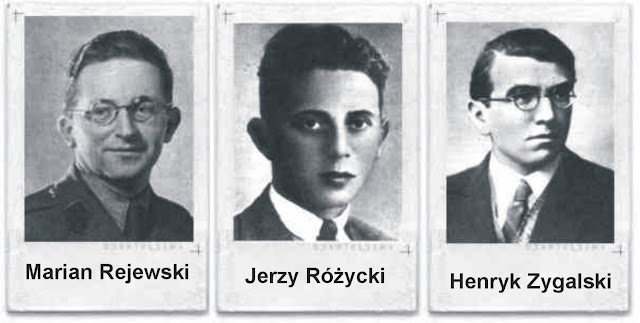 When the wider picture is examined, Dr. Turing and his Bletchley Park colleagues could not have succeeded, but for the groundwork of Marian Rejewski, Jerzy Rozycki and Henryk Zygalski of the Polish Cypher Bureau. With the help of German documentation recovered by French military intelligence, in 1932 these three brilliant, young mathematician/cryptologists, first reverse-engineered the original Enigma machine using theoretical mathematics. Mechanical devices were then developed for deciphering intercepted-Enigma-encrypted radio messages, but after 1938, German cryptologists took the precaution of vastly-increasing the complexity of Enigma machines by adding extra rotors, and the Poles did not have the necessary resources to counter this sudden advance. 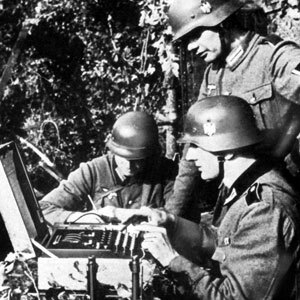 Consequently, fearing an imminent German attack on their country, in July 1939, Polish leaders and intelligence chiefs handed over to British and French Military intelligence agents (stationed in Warsaw), everything that Polish cryptologists had managed to achieve. Subsequently, all tangible traces of this initial breach in the security of Enigma, were destroyed. 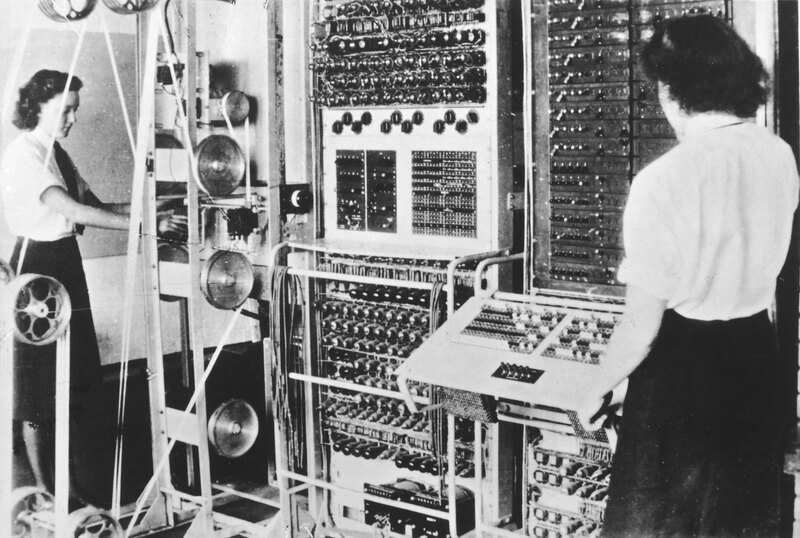 The timely, secret transfer of Polish expertise saved neither Poland nor France from invasion, but it did enable Dr. Turing and his colleagues to develop a much more powerful, and rapid, electromechanical calculating machine capable of decrypting almost all intercepted, heavily-encrypted Enigma-messages. 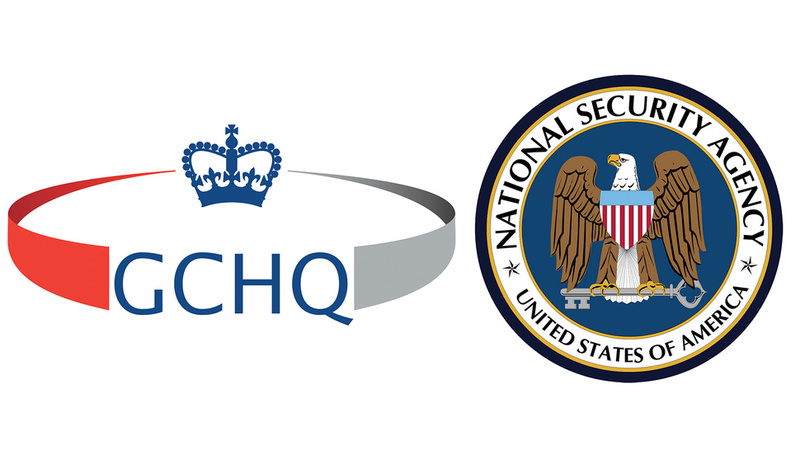 The resulting massive-flow of important up-to-date strategic intelligence that the British government and military, air and naval, commanders obtained via Bletchley Park, was itself given the code-name, 'Ultra' a.k.a. the 'Ultra Secret.' 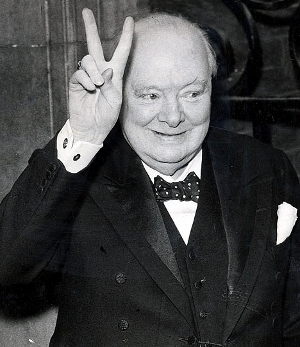 At various times during WWII, Winston Churchill felt obliged not to act on 'Ultra' intelligence for fear that, by doing so, German intelligence would realise what was occurring. However, even though the evidence of a near-total communications security breach often stared them in the face, the leaders of the 'Aryan Master Race,' and their partners in crime, were evidently incapable of accepting that almost every move they ordered to be made, was known by their inferior opponents, before it was made. In view of his own previous achievements (and his youth), Dr.Turing's unjust categorisation as a degenerate, could easily have been recognised by the British government as being contrary to national interests, for the 'Nazis' had caused many of Europe's most-brilliant thinkers (like Albert Einstein and Niels Bohr) to flee to the USA, because, as Jews, they were also unjustly categorised as degenerate. These same European scientists, first took a leading role in persuading the US Government to commit funds to develop the Atomic bomb - knowing that the 'Nazis' were already on the same path. They then took a leading role in developing the Atomic bomb. Unfortunately, in 1952, British Intelligence agencies, under pressure from their American counterparts, were operating a rule preventing known-homosexuals being given security clearance. Indeed, many gay men were being unjustly removed from key-positions in Britain (particularly, in the armed forces and civil service), because (mainly due to the illegality of homosexual activity) they were rightly considered to be easy blackmail targets. The previous year, British intelligence had been heavily-embarrassed when two of its agents, Guy Burgess and Kim Philby (both of whom were homosexuals who had been secretly groomed and recruited by KGB agents, when they were university students), had disappeared to the Soviet Union after passing secret intelligence to the Soviets for 20 years.Thus, after his arrest, Dr. Turing had his security clearance immediately revoked and he was excluded from GCHQ. 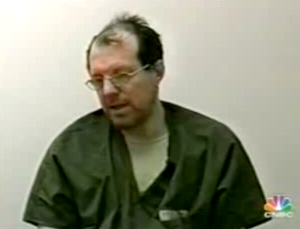 Self-evidently, he must have been placed under M15 surveillance as a major security threat - another possible defector and KGB blackmail target, but with access to the greater part of the Ultra Secret, and to Cold War, code-breaking techniques. Had Dr. Turing made a run for it and blown the whistle on the vast intelligence-gathering Enigma fraud (a la Edward Snowden), then all Hell might have broken loose. 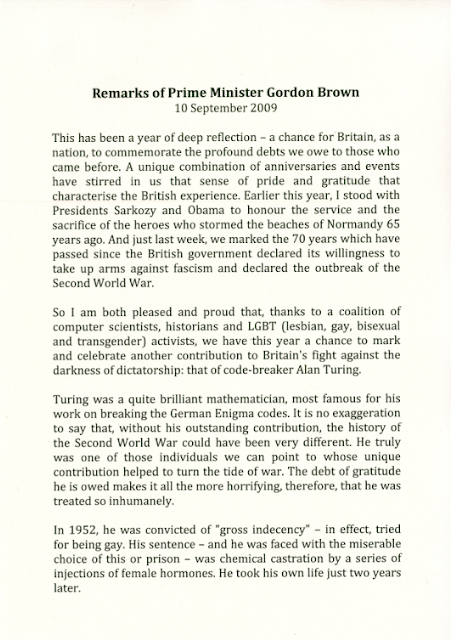 September 10th 2009, following an Internet-based campaign, British Prime Minister, Gordon Brown, made an official apology for 'the appalling and inhumane way Dr. Turing was treated.' However, Mr. Brown conveniently failed to point out that this 'appalling inhumane treatment,' had been at the hands of a overtly-homophobic, but (in many cases) covertly-homosexual, British establishment, the hypocritical members of which had mostly-failed to recognise, let alone challenge, the rise of the pernicious 'Nazi' ritual belief system, and whom Dr. Turing had secretly played a leading role in saving from destruction. In recent years, various people have suggested ways in which the 'Turing Test' can be reversed, but, as far as I am aware, no one has yet suggested that Dr. Turing's celebrated thoughts on artificial intelligence, can also be applied to the study of the cult/totalitarian phenomenon; for, due to their incapacity to engage with external reality, the inflexible core-adherents of totalistic cults have often been compared to robots. 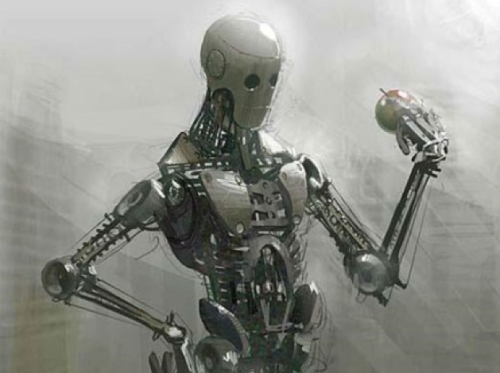 However, the way that exploitative, self-perpetuating non-rational ritual belief systems bait, trap and enslave their prey, by reflecting common human instinctual desires as being obtainable in exchange for absolute subservience, can also be compared to a phenomenon which Dr. Turing did not live to witness - computer viruses. Had Dr. Turing been able to continue his work, he might have eventually felt the need to propose a rudimentary, logical test of whether an artificial mind can be made to appear to have the same ego-related capacity to become delusional as the human mind; for although cult adherents insist that no one is controlling them and that they are excercizing free-will, nonetheless, illogically, and without exception, they all see the world in mechanical two-dimensional terms ('negative vs positive', 'us vs them' , 'good vs evil' , 'winners vs losers', etc. ), communicate in code-like thought-stopping language and obey their de facto programmers without question (no matter what suffering this entails). Given a detailed knowledge of any Utopian fiction modifying the personalities and behaviour of the core-adherents of a particular cultic group, it would, therefore, be a relatively simple matter to program a machine to duplicate the adherents' systematic responses (or indignant refusal to respond), to a series of blind questions concerning the contents of the group's controlling narrative. In other words, the predictable answers given by deluded core-cult adherents, and those given by machines programmed to duplicate human minds dissociated from external reality, would be indistinguishable. Pershing Square Capital vs 'Herbalife (HLF)' - Some wider common-sense questions. December 2012, Bill Ackman overtly challenged 'Herbalife (HLF)' as the effectively-valueless (albeit legally-registered) publicly-traded, corporate front for an illegal pyramid scheme. At the same time, he declared that, after many months of rigorous research and analysis, he had engaged his Hedge Fund, Pershing Square Capital, in a $1.2 billion short-selling trade against 'Herbalife' which would be pursued to its inevitable conclusion, not only to make profits for his shareholders, but also in defence of his fellow citizens. Three years later, as a direct result of Ackman's intervention (which, to his credit, has created rapidly-heightening public-consciousness in the USA), more than 1000 victims of the 'Herbalife' cultic racket are known to have come forward to file complaints with federal, and state, regulators and law enforcement agencies. Bearing all the above in mind, the following letter (from 'Pershing Square Capital Management Holdings' to its shareholders, December 2015) was apparently written by Bill Ackman himself. Our thesis on HLF remains unchanged. We believe that Herbalife will ultimately be subject to regulatory action or will collapse because of fundamental deterioration in its business which relies on the continual recruitment of new victims. During the quarter, the potential for regulatory action increased while business fundamentals deteriorated. From a regulatory perspective, we view the Complaint that the FTC filed on August 17th against Vemma Nutrition Company (“Vemma”), another MLM whose structure is similar to HLF’s, as a very positive development. The preliminary injunction issued against Vemma on September 18th is likely to make Vemma’s business totally unviable and provides a template for claims the FTC could bring against Herbalife. On October 27th, New York State Senator Jeff Klein, working with Public Advocate Letitia James and a non-profit community group called Make The Road New York, released a critical report on Herbalife titled: "The American Scheme: Herbalife's Pyramid Shakedown". Based on its hidden camera investigations of more than 60 nutrition clubs located in New York City, the report concluded that Herbalife distributors are “running an illegal pyramid scheme.” The report was supported by data from 56 victims who individually lost as much as $100,000. On December 9th, Sen. Klein held a public roundtable to advance his campaign to stop Herbalife’s deceptive tactics. Senator Klein has proposed New York State legislation that would amend the New York State General Business Law to better protect New York State residents. Despite predictions from Herbalife supporters that regulatory investigations would end during the quarter, they appear to have intensified. The company has now spent a total of $101 million defending itself, including $11.2 million in the quarter. Expenses related to “responding to governmental inquiries” increased from $5.8 million last quarter to $7.6 million this quarter which reflects the growing intensity of ongoing investigations. Assuming Herbalife is spending about $500 per hour on lawyers, $ 7.6 million represents 15,200 hours of legal time during the quarter, or 168 hours of legal time per day, seven days per week. Herbalife’s fundamentals continued to decline during the quarter. Notably “total members” – perhaps Herbalife’s most important operating metric – declined from 4.1 million in the second quarter to 4.0 million in third quarter indicating that Herbalife churned through at least 500,000 members as the rate of member churn exceeded Herbalife’s ability to find new victims.3 On its conference call, the company also began using a new operating metric called ‘active members,’ suggesting that Herbalife concedes that a proportion – we expect, a large proportion – of its members are inactive. In our experience, companies that change the standards by which they measure themselves do so only when the old metric shows business deterioration that they would rather not disclose. With respect to third quarter earnings, Herbalife posted weak revenues, but was able to reduce or defer certain expenses in order to generate earnings that exceeded analyst estimates. Among other questionable add-backs, Herbalife excludes regulatory and costs to “defend its business model” from its earnings estimates despite the fact that these expenses are likely to continue. On a consolidated basis, the company reported net sales of $1.1 billion, down 12% year-over-year, which was worse than Street expectations and below management guidance. The negative variance was largely attributable to foreign exchange headwinds. Similar to last quarter, China continues to be the key driver of Herbalife’s growth. While China’s year-over-year growth was 25%, Herbalife China revenues declined 5% when compared to the previous quarter. Notably, HLF’s South Korean market continued to show substantial deterioration in the quarter. South Korea has been one of Herbalife’s largest markets and a significant driver of the company’s revenue and earnings growth. Over the last several years, South Korea has been Herbalife’s third or fourth largest market and one of its most profitable with approximately 56% contribution margins versus 43% for the rest of the company. Beginning a year ago, Herbalife Korea began to decline. This deterioration accelerated notably this quarter, down 39% versus last year on a constant-currency basis, and down 46% on an actual basis. While management continues to blame the decline in Korea on “changes in the business model,” to us this looks like the classic “pop-and-drop” that is pervasive in pyramid schemes, a phrase that CEO Michael Johnson previously used to describe Herbalife’s rapid growth and inevitable decline in certain geographical regions. If one is looking for obvious evidence that Herbalife is a pyramid scheme, one need only look at the massive growth and rapid decline of Herbalife’s South Korea business and compare it with Unilever or another legitimate consumer packaged goods company. Why on Earth do Bill Ackman and his associates continue to employ (albeit occasionally) the thought-stopping jargon terms ('MLM', 'business,' etc.) to describe the demonstrably-criminal, blame the victim, cultic enterprises known as 'Herbalife', Vemma' etc. ? Why on Earth haven't Bill Ackman and his associates acted responsibly, come out and openly stated that 'Herbalife' is neither original nor unique, and clearly warned the public that 'Herbalife' is just one part of an ongoing criminogenic phenomenon of historic significance? In the past three years, why on Earth have the bosses of the 'Herbalife' cultic racket been allowed to spend $101 millions stolen dollars obstructing justice in order to continue to commit related frauds? What percentage of all these constantly-churning individuals have remained contractees of the so-called 'Herbalife MLM income opportunity' for more than one year, two years, three years, four years, five years, etc.? 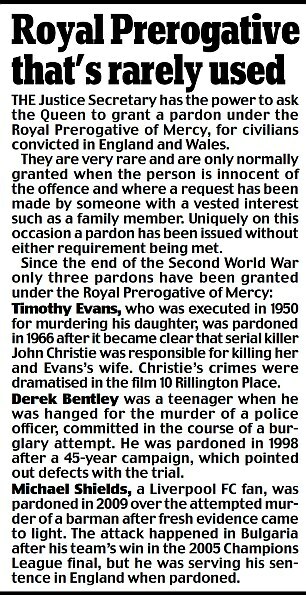 Given that the withholding of key-information from people in order to take their money is fraud, what possible lawful reason could there be for the key-information contained in the answers to above six questions to have been withheld from the public and from regulators? Do the bosses of the 'Herbalife' cultic racket have any litigation/ legal expenses insurance for themselves or for their demonstrably-counterfeit 'direct selling' company? If the bosses of the 'Herbalife' cultic racket don't have any litigation/ legal expenses insurance for themselves and their demonstrably-counterfeit 'direct selling' company, why have they been unable to obtain it? Do the bosses of any 'MLM income opportunity' cultic racket have any litigation/ legal expenses insurance for themselves or for their demonstrably-counterfeit 'direct selling' companies? If the bosses of 'MLM income opportunity' cultic rackets don't have any litigation/ legal expenses insurance for themselves and their demonstrably-counterfeit 'direct selling' companies, why have they been unable to obtain it? Other than its instigators, in whose financial interests has it been for the pernicious, thought-stopping, totalitarian/ totalistic Utopian fairy story entitled, 'Multi Level Marketing Income Opportunity,' to have been allowed to continue to be peddled to countless millions of vulnerable people, without any rigorous official challenge to its authenticity? 'In a FOX Business Network Exclusive, Charlie Gasparino has learned Herbalife's (HLF) legal team is upping the pressure against hedge fund activist Bill Ackman. The company's legal counsel sent a letter to Ackman's Pershing Square Capital Investment's outside research firm, OTG Research Group, demanding that they stop soliciting confidential, proprietary and privileged information from both current and former Herbalife employees. The letter cites Ackman and his campaign against Herbalife describing his research tactics as troubling and improper. OTG Research Group is run by Aaron Smith-Levin who is noted among the investment community for his ability to conduct deep corporate research. At first, I wondered if this Forbes article could possibly be an April Fool's joke, but, sadly, it was for real. Aaron Smith-Levin was, in fact, brought into 'Scientology' by his mother in 1986, when he was a mere 5 years old, but now he is no longer under the influence of the organization. How exactly did you come into contact with Aaron Smith-Levin? Have you given any confidential information to Mr. Smith-Levin or his 'OTG' associates? Do you still have contact with Mr. Smith-Levin or his 'OTG' associates? Do you have any understanding of the comic-book story of 'Good vs Evil' which controls the minds and behaviour of core-'Scientology' adherents, and which has been used as the false-justification for a catalogue of crimes? At the time you employed 'OTG Research Group,' were you aware of: 'Scientology's' previous links to 'Herbalife' in Europe? 'Scientology's' history of using agents to infiltrate and destroy its perceived 'evil enemies?' 'Scientology's' involvement in the vast Ponzi scheme fronted by Reed Elliot Slatkin? Right now, I'm not absolutely sure what to make of former 'Scientology Sea Org' member, Aaron Smith-Levin. It would probably take days thoroughly to study all the confusing evidence which has recently appeared on the Net - revealing his current state of mind and his insider knowledge of the clandestine criminal objectives of the 'Scientology' leadership. What I don't understand is how Aaron Smith-Levin can have failed to spot the glaringly-obvious similarities between the 'Herbalife' and 'Scientology' rackets. Perhaps he has spotted them, but failed to speak out? That said, I would contend that 'Scientology' is self-evidently a criminogenic organization, which, by its very nature, cannot be reformed.